To make a website live, there are two basic requirements, i.e. an appealing domain name and web hosting. When it comes to choosing a domain name, the Internet is flooded with websites that can offer you a wide selection option. 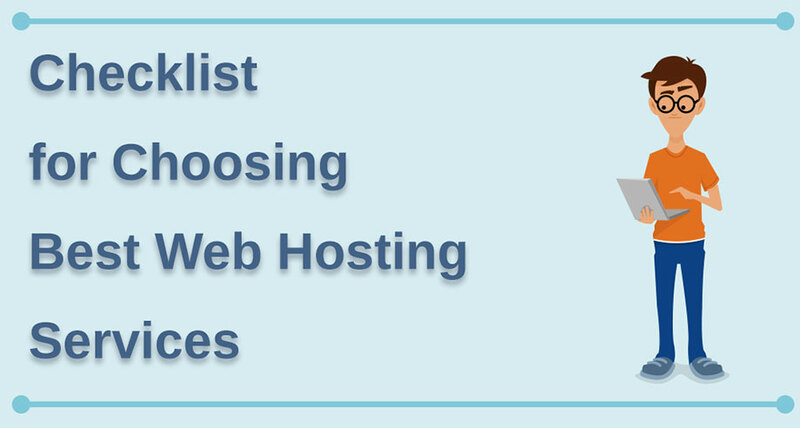 However, to select the best web hosting, you need to run a thorough research about the available web hosting services. There are many hosting service providers which bestow their top-notch services but lack somewhere. Most of you may not be an expert in this field. So being a novice of this platform, you demand either an expert advice or a predefined checklist to resolve your hosting selection headache. Windows and Linux hosting are two hosting platforms which you can choose from. But even before paying for one such provider, you need to check whether your website is capable of delivering the features you expect for your upcoming website. Like for an eCommerce website, you will always expect a dedicated IP added with SSL layer. But in all, the cost is the most important factor that needs to be considered along with other prominent considerable points. Technical support must also be acknowledged before reaching the payment mode. The uptime and downtime of a server aren’t same all the time. So, to manage the proper speed of the server, you may even need to call their technical consultant for any sort of assistance. These are not just a few of the important considerable points. Apart from them, many other points are also there which needs to be acknowledged. All the major points are considered within this infographic. So, you will not require an expert anymore. All you need is to cross check the traits of your hosting service provider with this given checklist and find out what points they are capable of verifying. This infographic is submitted by Maxwell and is originally published here: https://www.webhostingdecisions.com/checklist-choosing-hosting-service/. Maxwell is the Technical Consultant Manager at Web Hosting Decisions. WHD is a complete resource about hosting tips, how-to, guides, reviews, coupons, hosting plans and upcoming web hosting events and offers.